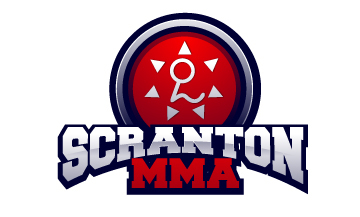 At Scranton MMA we have always had a lot of success as a team when it comes to Jiu Jitsu Competitions. We have been very fortunate to have some very successful competitors train with us for years and years. This has helped our competitors routinely come home with lots of medals, trophies and belts. Today I just want to share a few tips that will help you get started when you first decide to want to give competition a try. Trust me we have all been there and we know it is going to be difficult and stressful but these tips will make it a bit easier to get started. Your first goal should be to enjoy the experience. Win or lose make sure you enjoy the entire overall experience. Im not saying you have to or that you should enjoy losing. However most likely you are going to lose a match or two at your first few tournaments. Its important to realize that basically everyone is going to lose especially at first but if you quit now you will never get to enjoy winning. You need to make sure you enjoy all the prep work leading up to the tournament. If you are going to push yourself a bit harder or a lot harder during training make sure you take some time to enjoy that as well. Just remember after the training how much your jiu jitsu is improving. Also enjoy the trip, the traveling and hanging out with all your teammates. This really can be the best thing about competing. You want to make sure that no matter what happens you learn from the experience. You want to learn and then use what you learn to improve your jiu jitsu. Focusing on learning and improving will help take some of the stress away from competing. It really took me a long time to realize how important it is to record your matches. Please do everything you can to record all your matches. Normally you can just ask your teammates or a friend or even another competitor to record the match. Trust me it will be worth it! You can learn a great deal by reviewing your match after the tournament. Often what you think happened didnt happen exactly how you remembered 🙂 The camera doesnt lie so having the ability to review your matches is priceless. Now some people will disagree with this but I definitely think having a game plan and a strategy will help. Maybe you are a guard puller or you want to stand up or shoot for the take down. Either way you should have a plan and do your best to execute it. Now I hope these tips help give you a few ideas and I really hope that they make you think about giving Jiu Jitsu competition a try. If you have been thinking about it please talk to one of our coaches ASAP!